When you bring your child in for your Burleson Orthodontics initial exam, complimentary consultation, and digital x-rays, you can choose one of the two books below. Or you can purchase them directly from Amazon by clicking on each book. Why is your child’s smile so important and why do kids need braces? 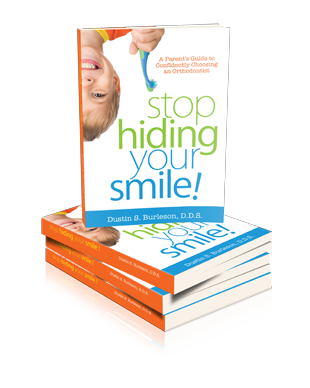 Dr. Dustin Burleson, Speaker, Teacher and Author offers clear explanations to parents on the difference between a dentist and an orthodontist. You’ll discover why most orthodontists don’t offer guarantees and why you should think differently, if you want peace of mind. 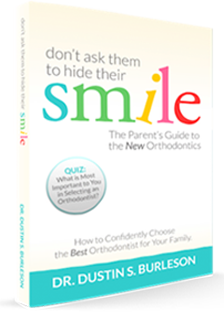 His self-professed “boring little book” about orthodontics can actually save you a lot of money and headaches if you’re searching for the best braces or Invisalign treatment for your son or daughter. Plus, Dr. Burleson covers the timely topics of teen bullying and suicide, more prevalent in today’s society and made far worse by social media. 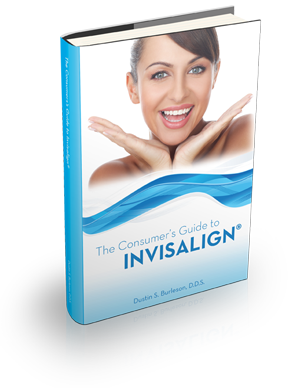 Whether you are a patient, parent, or dental healthcare professional, The Consumer’s Guide to Invisalign® is your blueprint to achieving a beautiful smile with Invisalign®. Don’t miss this trusted resource!